Note: We are using Chrome 43.0.2357.132 m to demonstrate the changes, but these steps should be similar for all versions of Chrome. Follow these instructions to configure Google Chrome to use a proxy server. 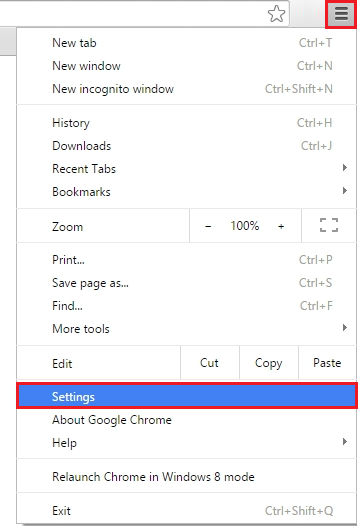 Click the "Customize and control Google Chrome" button on the toolbar and then select Settings. Scroll down the list until you see the "Show advanced settings..." link and then click on it. Scroll further down the list until you see the Network settings, and then click the "Change proxy settings..." button. 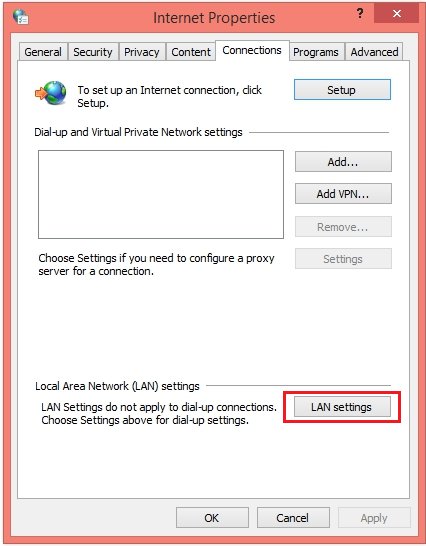 On the Internet Properties window, click on the "LAN settings" button. In the LAN Settings, uncheck the box that says "Automatically detect settings." 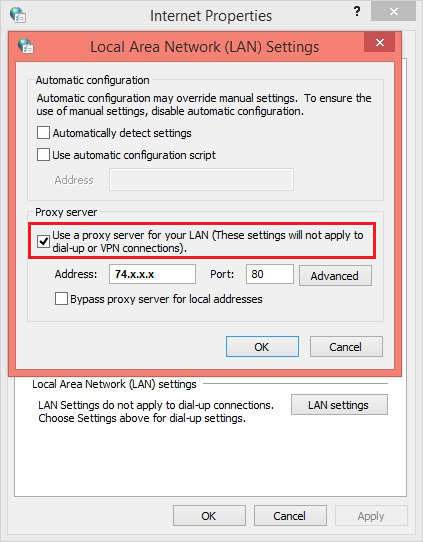 And then, in the Proxy Server section, click the checkbox to enable "Use a proxy server for your LAN..."
Now when you surf the web, you will be surfing by using the Proxy Server. The first time you open a webpage, depending on your account's authentication settings, you may be asked to enter your credentials, which were supplied in your Welcome Email.